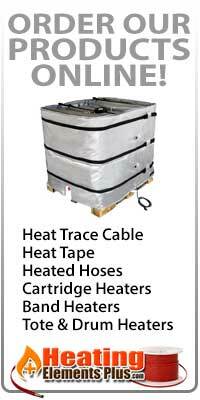 ProTherm Industries provides a wide range of heating elements, band heaters, cartridge heaters, formed and finned tubular heaters, bolt heaters, coil heaters, strip heaters, tank heaters, cast-in heaters, immersion heaters, as well as circulation heaters and heated hoses. You can obtain information regarding any of our products by browsing our site. Each of our products is listed with specifics and applications information along with other products that are available at ProTherm Industries.